At the moment I play a lot of Burnout Revenge on Xbox360, mostly online Crash Party. I try to have a high rank as possible. Sometime it’s high, sometime low. 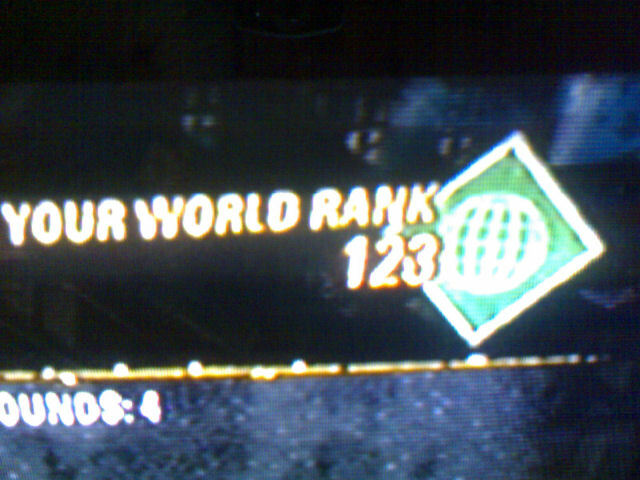 My highest rank is 123, as seen in the picture. On the other end, I’ve been on the 50000 or so place.